Chile, the country with a narrow strip of land between North Pacific Ocean in the west and the Andes Mountain in the east is officially called the Republic of Chile. Chungará (hispanicized spelling of Aymara chunkara "pointed mountain") is a lake situated in the extreme north of Chile, in the Altiplano of Arica y Parinacota Region in the Lauca National Park. It is the 29th highest lake in the world (and the 10th highest in South America). 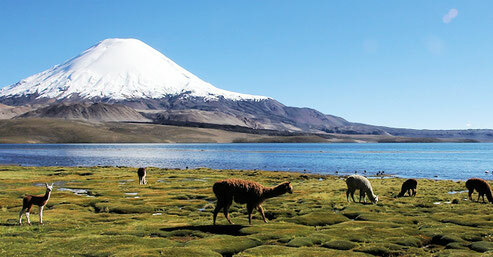 It is near the volcanos Parinacota (20,827 ft or 6,348 m) and Pomerape (20,413 ft or 6,222 m). It was formed 8000 years ago, when a major collapse of the edifice of Parinacota produced an avalanche of 6 km³ of debris which blocked drainage pattern, thus creating the lake. 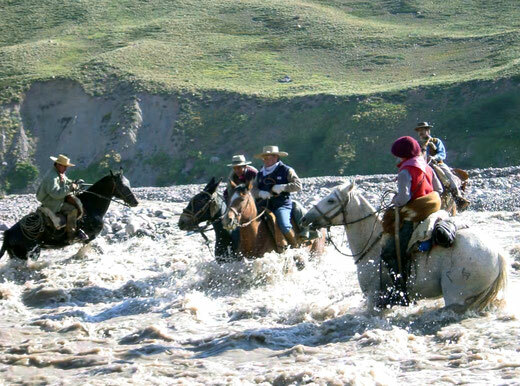 Horseback riding in Chile is an ideal way to see the most scenic parts of the country well off the path of most tourists. The mountains and glaciers of Torres del Paine National Park offer some of the most spectacular scenery in the world. These peaks in southern Patagonia rise almost vertically from sea level to nearly 10,000 ft. which is an even greater rise from the valley floor than that of the Tetons in Wyoming. UNESCO has rightly named this area as a World Biosphere Reserve because of its unique natural features. 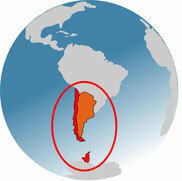 It is located near the extreme southern tip of South America in Tierra del Fuego. Magellan sailed through this passage via the Straits which now bear his name to reach the Pacific in 1520 and became the first to sail around the world. Darwin and many other travelers of note have marveled at this fascinating part of the world.